Escape to a little piece of heaven for your perfect getaway at Val-e-Vue Resort. 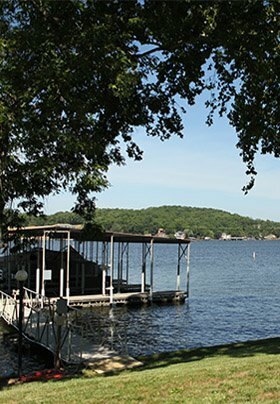 Located on the beautiful Lake of the Ozarks in Camdenton, MO, a peaceful and relaxing stay awaits you. All cabins and condos are only a few steps to the water. Whether you’re planning a fishing trip, family vacation, reunion, girls’ outing or weekend adventure, there’s something for everyone. Our family-owned resort offers our guests a comfortable and more personalized visit. There are 12 cabins/condo units to choose from so everyone is sure to find their perfect fit. All cabins are clean and newly updated with modern conveniences, full kitchens, free Wi-Fi, individual bedrooms and charcoal grills. 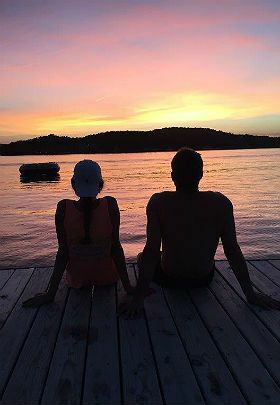 With your own deck to enjoy the lake from sunrise to the beautiful sunset, your time with us will seem like your home away from home. 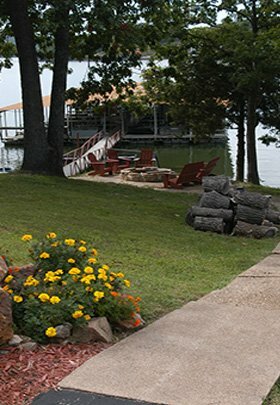 Our quiet waters on the Big Niangua offer the very best of fishing, water sports or just cruising the lake. You can bring your own boat or we have on-site boat and wave runner rentals at Montego Bay Marina. New this year are paddleboards and kayaks, ask us about them! There is always fish biting off the fishing dock or just soak up the sun on a lounge chair on the popular swim dock. A short scenic drive and you’ll have access to hiking trails, shopping, restaurants, golf, wineries and more. We are looking forward to seeing everyone in 2019. We are excited to share all the updates coming again this spring. Check out our facebook page for the ongoing picture updates. See our new on-line reservation system for real time booking. Sign up to receive latest news and events.